A big thank you to Anita Kovacevic for interviewing me on her blog, Anita’s Haven. Her interviews are always in-depth and personal. This one is related to the paperback release of the Readers Circle of Avenue Park short story anthology, Crooked Tales. My short story, Red Queen Check is one of fifteen by an international group of writers. Occasions in which an author has difficulty finding words are truly rare, but meeting Elizabeth H. Newton has been one of such occasions in my life. It is truly unusual to get to know someone whose work you admire (and I love her writing), and even more precious to find out how much in common you have. As for her books, this lady can weave aa gruesome horror into a sizzling, romantic tale with one snap of her dangerously manicured nails, and kill off characters with such a sweet smile that you can’t help but want to read more. 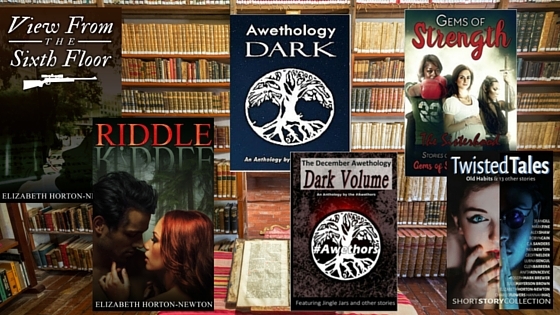 Having worked with her on several anthologies so far (Awethologies and Twisted Tales), Crooked Tales came as a miraculously natural consequence. Read more about her short story in Crooked Tales, and about her ongoing projects. As always, it is a pleasure to have this amazing superpower of a woman over as a guest; in fact, sometimes we like to joke about starting a chat show. 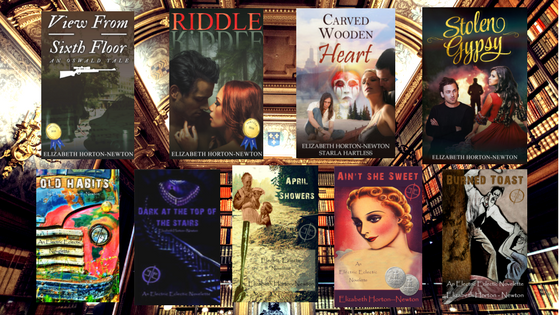 Elizabeth Horton-Newton loves serial killers and all things horror. She has been this way since early childhood, much to her mother’s dismay. After releasing her two full length romantic thrillers as well as a steamy contemporary romance to assuage her guilt about her mother, she has returned to her original love, horror. She indulged her passion for the bloody in her short story in the first anthology from Readers Avenue Park, “Twisted Tales. Fascinated by the inner workings of the criminal mind, an interest strongly influenced by her father, she allowed her imagination to run wild once again in her tale for this anthology, “Crooked Tales”. Because I love reading and writing stories about twisted crooked minds I based this story on a sexual pervert who loves young, beautiful girls. He also happens to be wealthy and able to get anything he desires. Of course sometimes what you want turns out to be something very different from what you get. I love both reading and writing. I don’t think you can be a good writer unless you read a lot. Reading is my favorite form of entertainment. I can get totally involved in a good story. I feel the same way about writing. I can’t wait to see what my characters are going to do next! I blog and review books by other writers. I enjoy photography. I studied photography and videography in college and I love to take photos when I travel. Traveling is my big love right now. The more I see, the different cities and countries I visit, the more ideas I have for stories. I currently have three major projects I’m working on, as well as several short stories. I’m putting the final touches on a book called “Stolen” that deals with the Witness Protection Program, drug cartels, and Gypsies. I’m also researching for my next book, with the working title “Highway of Blood and Tears”. It’s loosely based on a highway in British Columbia where a large number of indigenous women have disappeared or been found murdered. Why do you write about murder and crime? I’ve always been interested in murder, especially serial killers. What goes on in the mind of one person that drives him to arbitrarily and often sadistically kill a stranger? What triggers the urge? It’s pretty interesting stuff. If any of your books could be made into a movie which one would you choose? I’d love to see all of them made into movies. If I had to choose one, it would probably be “Riddle”. I think the characters and the plot lend themselves to film. I also think of the location was chosen to closely resemble the one I describe it could be visually stunning. If you were stranded on a desert island what three books would you want to have with you? “To Kill a Mockingbird” by Harper Lee, “Dracula” by Bram Stoker, and “The Collected Sherlock Holmes” by Sir Arthur Conan Doyle. I’d like to ask Anita Kovacevic a few questions. You have written in different genres, including children’s books. What is your favorite genre to write? Where is your favorite place to write? Who is your favorite character from one of your stories or books?